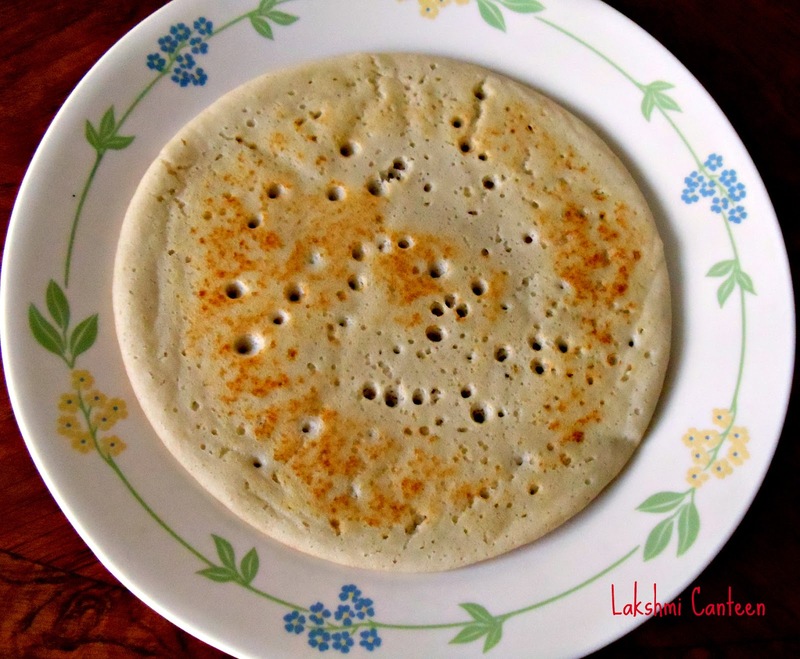 Pejje Polo is a very soft dosa. I don't know why the name pejje polo. Peje in konkani means rice cooked in generous amount of water. Rice is eaten along with the starch, salt to taste and pickle to give some kick! Soak rice and urad dal for two hours. Grind it along with cooked rice and jeera to get a fine paste. Add little water while grinding. 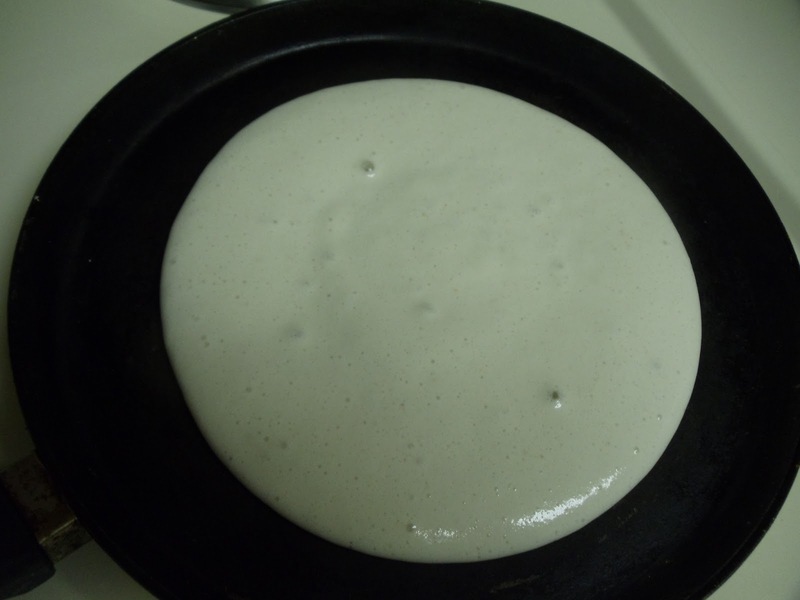 The batter should me medium thick. Allow it to ferment for 8-10 hours. 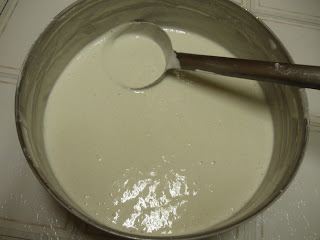 After it is well fermented add required amount of salt and mix well. Once the pan gets heated (on medium flame), pour two full ladel of batter and spread it slightly as shown below. Now close the lid. Let it cook under medium heat. It might take 1-2 minutes. 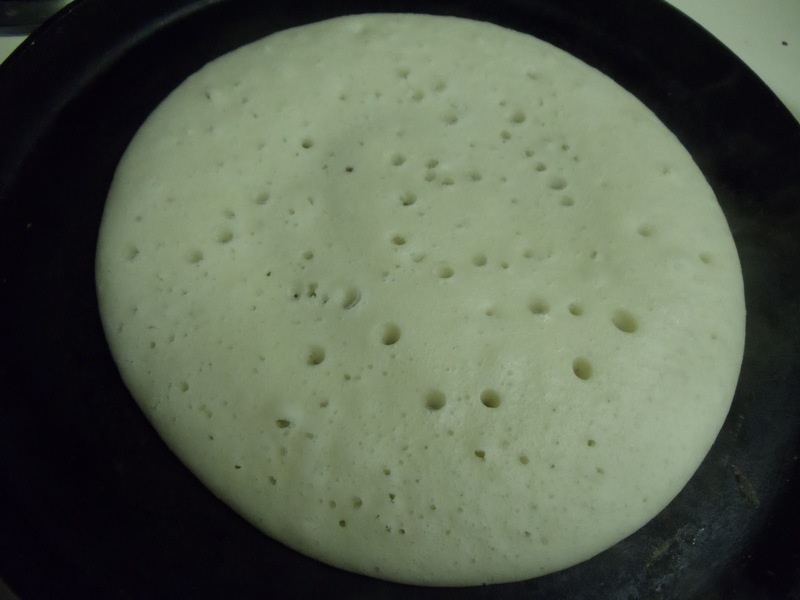 Check, if the upper portion of the dosa is well cooked as shown below. Look at the dosa. It looks so spongy. Now flip the dosa to roast the other side For half a minute). Pejje Polo is ready!! Serve it hot with chutney or any curry of your choice. Above measurement serves 2-3 people. Hi! Mom made this for breakfast today. The polo was extremely soft and tasty. We ate it with red chutney. Definitely going to make this one again as it's very easy and tastes light and fluffy! Thank you! Thanks for the feedback Prathima. Glad it turned out well.